My investigations with materials address a specific trait that is unique to each material. I was particularly drawn to the scalloped edge on the paper plates. The structure and activity of spooling is what brought me to work with adding machine paper. The way the plastic cups absorb and diffuse light and, of course, their stackability, motivated me to use them for the project currently at Pace Wildenstein. The beauty of Donovan’s work is the ability of common objects to transcend their everyday uses and become something much more. 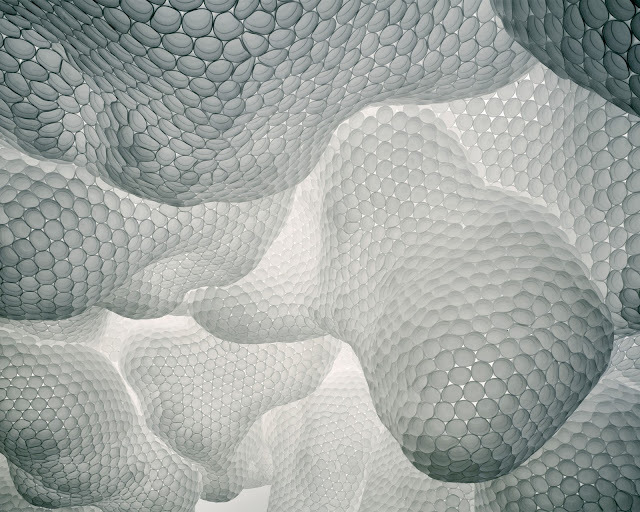 They are transformed from geometric shapes defined by their rigid roles into organic, flowing forms. Even items that may be considered scraps and deemed otherwise useless are not overlooked by Donovan’s careful eye. This can be seen below in Colony. 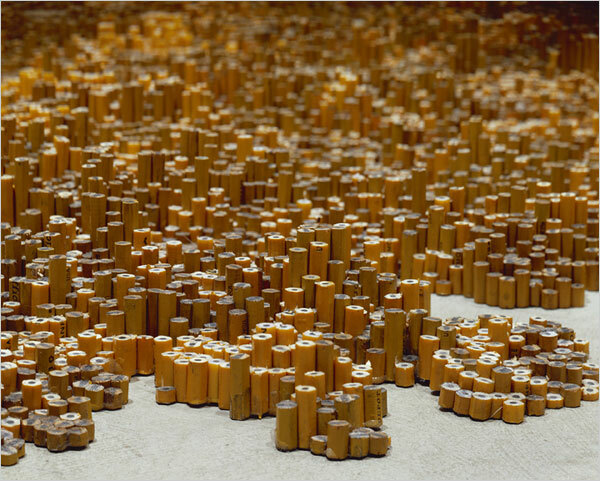 What was once nothing more than pencil stubs becomes an interesting coral reef-like sculpture. It is important to note that Donovan performs minimal physical manipulation to the common objects before use. To clarify, she does not tear, rip, burn, or otherwise mutilate the objects. Her materials are simple, often times consisting of nothing more than the object itself and hot glue. In her sculpture Cube of Toothpicks she even relies on natural forces, friction and gravity, to reinforce itself. By keeping her materials simple, Donovan allows the repetition of the objects to take center stage, creating a certain elegance. The repetitive nature of her work is far from unintentional. She thinks “in terms of infinity, of [the materials] expanding” in the setting in which they are placed. With this consideration in mind, Donovan considers her work to be site specific. Each piece is disassembled and reassembled on site so that individual gallery spaces, and how they will interact with her sculptures, can be taken into account. Although this process could certainly be called an obsessive labor of love, the interaction between Donovan’s work and the necessary space it occupies is an important one. Whether the piece takes on a massive scale or lives in a quieter floor space, her work is displayed in clean, uncluttered environments. This allows the attention to rest solely on the sculptures she creates and in turn for the beauty of the ordinary to truly resonate. 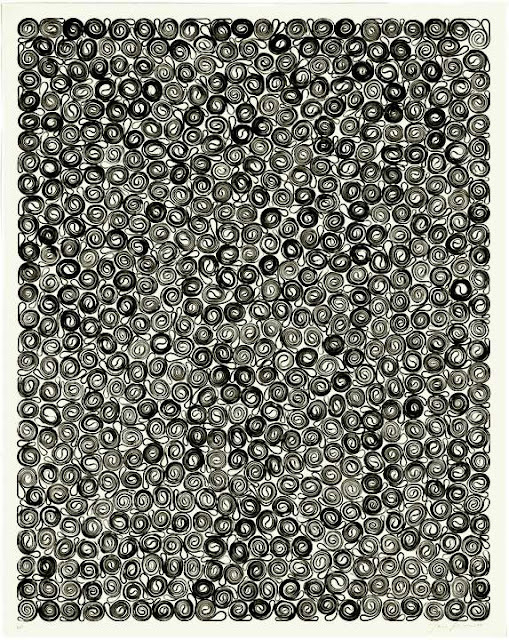 The obsessive repetition of Donovan’s work should also be considered, compared to the processes in which many of the common objects she uses are made. Many of them are made in much of the same mechanical, consistent way that Donovan works. However, from these two very mechanized processes, truly organic forms are made. In this way, her work seems to be closely tied to nature and its inevitable growth and longevity over that which is man-made. At this particular moment in the art world, invention and personal vision have been demoted in favor of appropriation, of raiding the cultural icebox. For somebody to go out and try to make something that doesn’t remind you of anybody else’s work and is really, truly innovative—and I think Tara’s work is—that’s very much against the grain of the moment. To me, it represents a gutsy move. 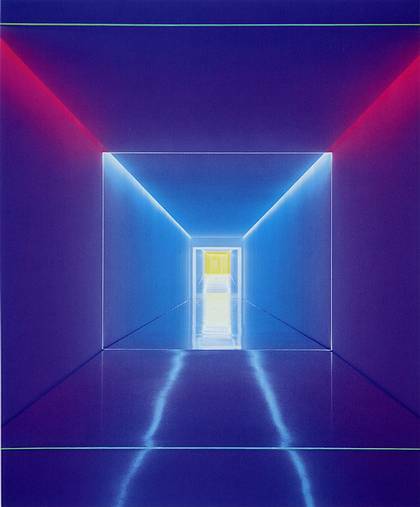 Though Donovan cites inspiration from pioneers like James Turrell and Sol Lewitt, for their ability to create a phenomenological experience, she has successfully created her own experiences through her unique work. She has given a new meaning to the mundane and brought the ordinary to life.